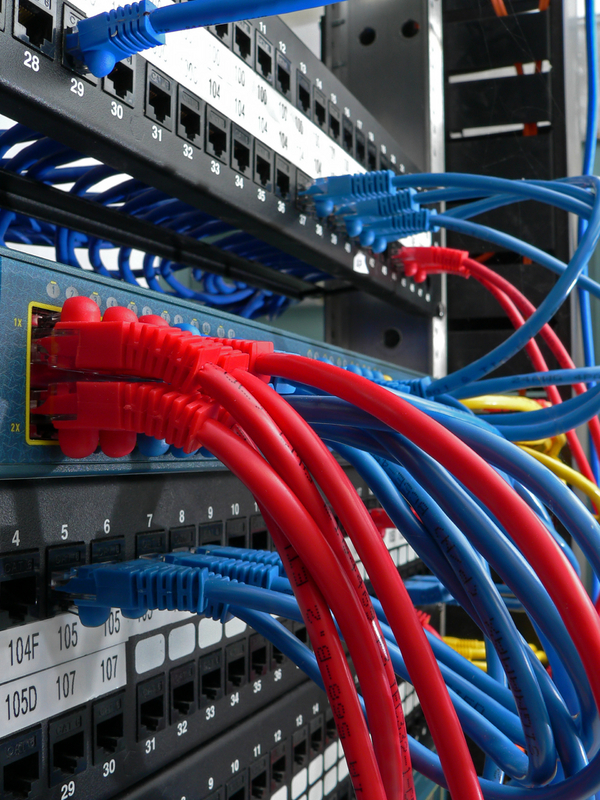 Project Skills Solutions offer a range of network cabling solutions for your data cabling installations. It is important that from the out set that we have a full specification and understanding of the clients network data cabling requirements. This can be provided in advance of a survey for us to provide a concept data cabling design and budgetary pricing. Alternatively a free survey allows us to walk through the premises to evaluate the best methods of installation then agree with the client the most suitable category of data cabling to meet the networks transmission speed requirements. Different categories of data cabling have different specifications with regards to shielding from electromagnetic interference, data transmission speed, and the possible bandwidth frequency range. If you’re looking for a voice and data network, copper cabling may be the right medium, but you have to make sure that you choose the right ‘category rating’ for your network data cabling installation see below. Note all categories are limited to a length of 100m if your data cabling route is likely to exceed this then you should consider multiple LAN with local racks and fibre backbone links or alternatively a fibre optic network. Our cabling engineers can demystify the technology and design and specify a structured cabling network to meet your exact system requirements and budget. The Cat5e standard is an enhanced version of the Cat5 cable, designed to reduce interference this category works not only for 10/100Mbps but also 1000Mbps (1 Gigabit per second) ! It has quickly become the most widely used category of Ethernet cable, Cat5 cabling is common in existing networks but Cat5e is usually the preferred choice of cabling in new installations due to price. Cat5e cables are backward compatible with Cat5 cables, allowing them to easily be used in any modern network installation. A big difference between Cat5e and the newer Cat6 cables is in transmission performance, although both can handle Gigabit Ethernet speeds, Cat6 can handle bandwidth up to 250MHz and allows up to 1,000Mbps (1gb) transmission rates. Some properly installed Category 6 cable will also support 10 Gigabit speeds, but likely with limitations on length. Cat6 cable has other advantages besides speed, such as better insulation and thinner wires that provide a higher signal to noise ratio reducing electromagnetic interference. In most situations Cat5e cabling is more than suitable and much more cost effective than Cat6. Cat6 cable is backward compatible with both Cat5 and Cat5e cables. Category 6A cable is the latest twisted-pair cable type defined in February 2008 under the newest version of the TIA 568-B standard (568-B.2-10). Augmented Category 6A operates at frequencies of up to 500 MHz and can support transmission speeds at 10 Gigabits per second (Gbps). Each increase in category comes with an increase in cost, so it’s important to balance the potential needs of your business, both now and in the near future with the respective costs.